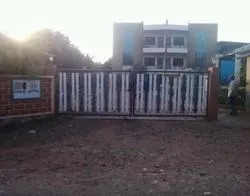 Established in the year 1988, we "Krystal Industries" is one of the prominent manufacturer, exporter and trader of Universal Testing Machines, Dynamic Balancing Machines, Hardness Testers, Impact Testing Machines, Torsion Testing Machines, Tensile Testing Machines, Compression Testing Machine, Machine Test Fixture, Mild Steel Extensometer, etc. We are strictly guided by a quality control policy and hence we choose our vendors very carefully. We have a large team of professionally talented technical persons and marketing personals which provides a guarantee of a high-quality Machines. Together with this, the offered products are available in various specifications in order to meet the exact requirements of clients. Being a globally renowned organization, quality plays an important role for us in the production and post production processes. 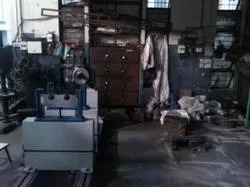 To assure our customers regarding the quality of our material testing machines and dynamic balancing machines, we follow stringent quality standards in our entire design, development and production processes. Our quality controllers ensure that all the relevant industry standards followed in the production process. We have all the facilities in our in-house quality testing laboratory that helps us in stringent quality checking of our range of material testing and dynamic balancing machines. 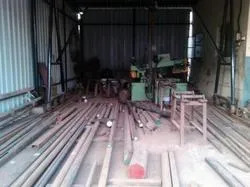 Further, as per our quality objective, we offer our customers retrofitting, renovating and modernization of any type of material testing and dynamic balancing machines. 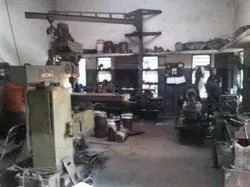 For the last 24 years, we are engaged in manufacturing and supplying a wide range of Universal Testing Machines, Dynamic Balancing Machines, Hardness Testers, Impact Testing Machines, Torsion Testing Machines, Tensile Testing Machines, Compression Testing Machine, etc. Extensive field support through nationwide network. We have employed skilled and experienced professionals in our organization who help us in smooth execution of various production and post production processes. Our professionals are well aware of ISO standards and ensure that it is followed in all our activities. 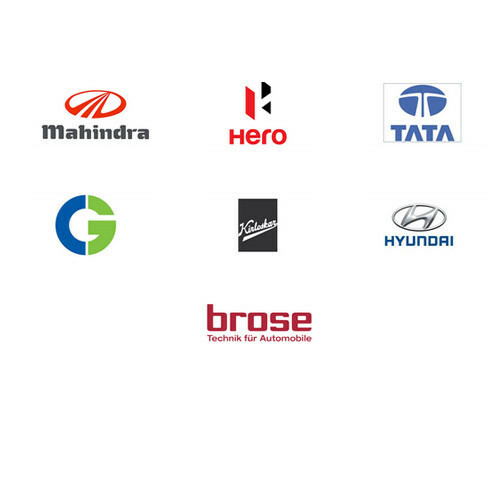 Engineers & Technicians: These professionals are accountable for precision design and development of our range of material testing machines and dynamic balancing machines. They ensure that ISO standards are followed in the designing process. Quality Controllers: They are the one who remain responsible for all the quality related measures in our pre and post production stages. Further, they enable us to meet the high standards of changing global trends. They check the products right from the initial stage of designing till the range is delivered to our customers. Research Associates: Our research associates keep themselves involved in the continuous market study to enable us to meet the exact demands of our global clients. Further, they assist the production department in minimizing the flaws present in the existing range of testing machines. Sales & Marketing Executives: The thorough market knowledge of our sales & marketing executives allow us to make a vast clientele across the globe. Apart from these, we have a strong team of 40 skilled professionals who are supported by administrative & managerial staff, and work directly on shop floor. We are a client centric organization and ensure that our domestic as well as global clients get quality products and services. In order to maximize client’s satisfaction, we offer customized solution for our material testing machines and dynamic balancing machines. We further provide them with retrofitting, renovation and modernization services for these machines. Our customer oriented approach also comprises customized packaging, timely delivery of the product range and easy payment modes for hassle free monetary transaction. Owing to these factors, we are able to build a vast client base across the globe in countries such as Malaysia, Thailand, Saudi Arabia, Indonesia, U.S.A., Bangladesh and Denmark, to name a few. The detailed client list along with our products is provided in the attached PDF. We deal our own manufacturing brand : Krystal.